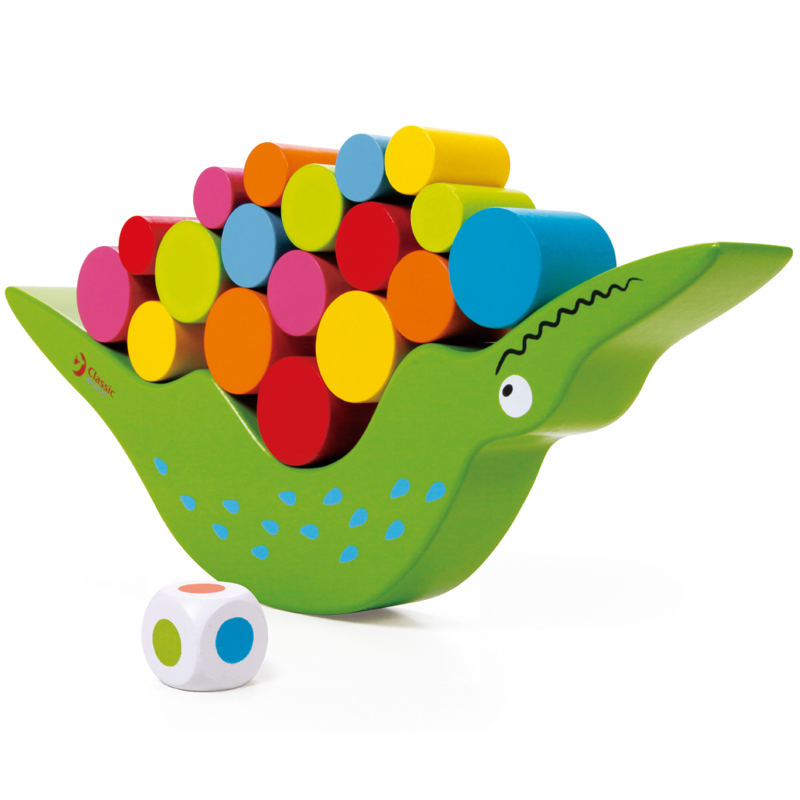 This clever balancing game makes little ones use the colourful wooden blocks to correctly balance the friendly crocodile. A great teaching tool to aid hand eye coordination, fine motor skills and shape recognition. Also this game teaches colour recognition as each player rolls the dice to pick a counter. Fun for all the family whilst developing vital skills. Box contains 1 x Classic World Crocodile Balancing Game.